If you need to decide when your little fur ball needs to stay safe inside and when it’s time to play outside, this Pet Mate timer control gives you that comfort of control. 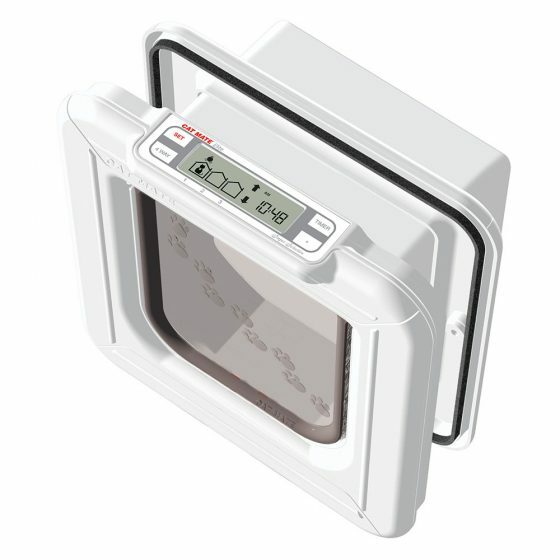 The Cat Mate Timer Control Cat Flap has been designed to help reduce cat road accidents and undesirable hunting activities. 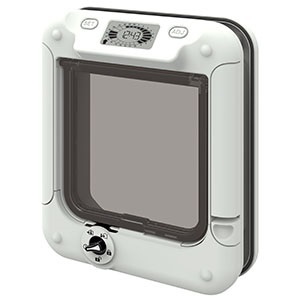 The easy to use LCD time control allows you to choose the high risk periods during which you do not wish your cat(s) to go out through the flap, e.g. rush hour, night time, etc. 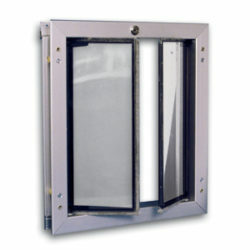 A secure 5-way rotary lock allows you complete control of your cats’ movements through the flap and may be set to: Unlocked, In Only, Out Only, Locked and Timed Exit Lock. 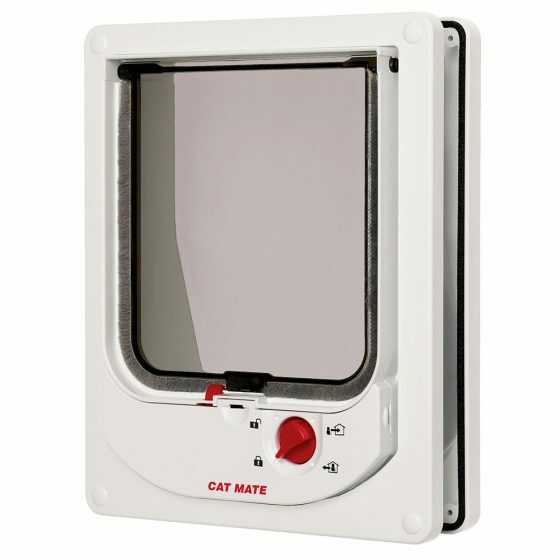 The streamlined design of the Cat Mate Timer Control Cat Flap maximizes entrance opening space – providing easy, stress-free access for your cat. The large 5.625″ x 5.875″ opening is fitted with a transparent flap which is preferred by most cats and is made from super tough polymer. 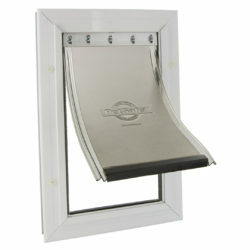 The brush sealed sealed flap with magnetic closure ensures a draft proof and weatherproof seal. 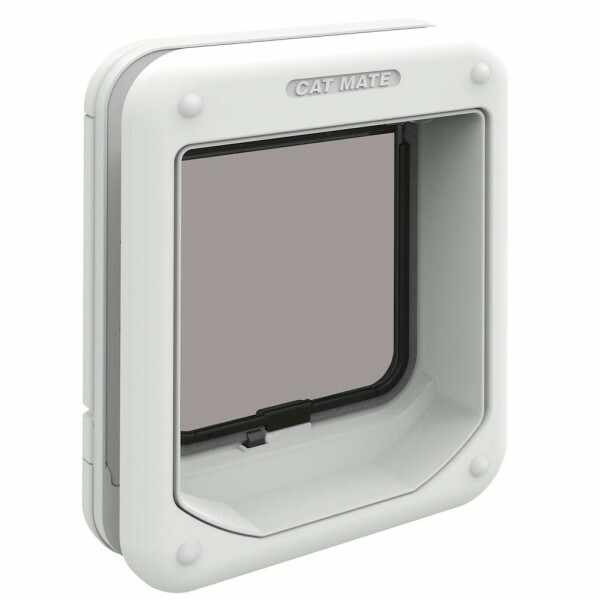 The Cat Mate Timer Control Cat Flap is self lining to 2″ thick – ideal for fitting to all doors. 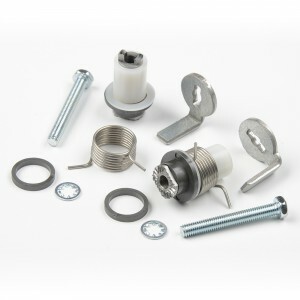 The cat flap can also be easily fitted to walls or glass panels with the Cat Mate Adapter Kit for Walls and Glass Panels (available separately). For wall thickness over 2″ , a Cat Mate Elite Wall Liner will be required for each additional 2″ (available separately).